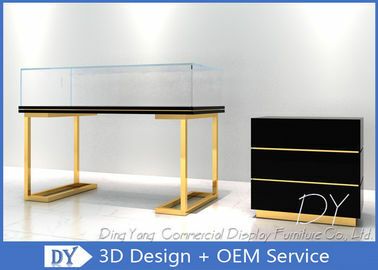 Materials Wood,Metal,Stainless Steel,Temper Glass,MDF,FR-MDF,Quality Hardware,Acrylic,Laminates,Wood Veneer or Any Combination. 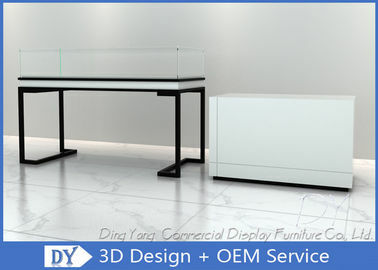 2.The shelf, with high bearing capacity, durable and fashionable. 5.Various sizes and colors are available to meet your needs. 6.Your own design is highly appreciated. 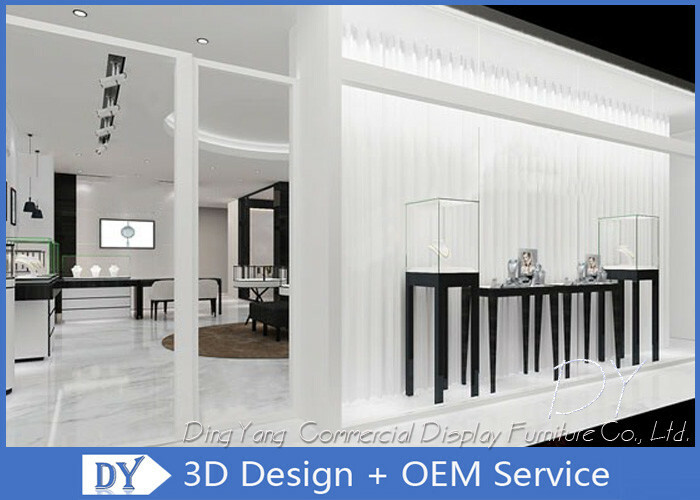 7.This showcase, with spotlights inside,can give the best showing effect of various products. 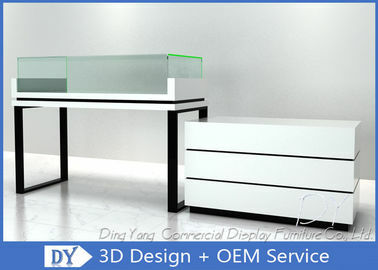 8.Your logo can be also printed on the top of shelf, both as advertising and lamping box. How can I order Jewellery Shop Display Cabinets? 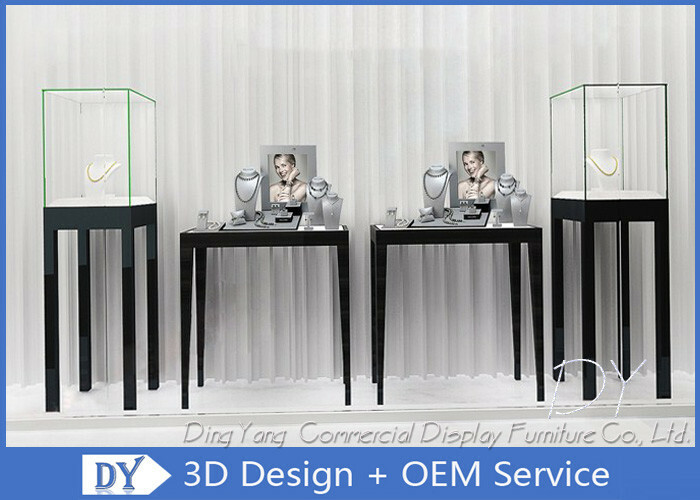 1-Contact our sales to discuss your specific requirement regarding the wooden display cabinet and showcase for jewelry shop. 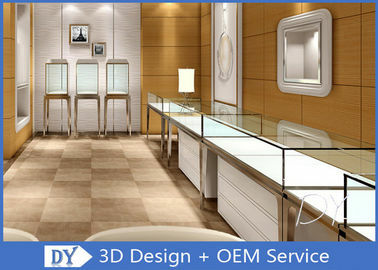 We are professional in making and designing various glass showcase also we can make it according to your requirement. If you are interested in our products, please feel free to contact us, there are various colors, styles, and samples for your selection, we will be at your service any time!